Home Long Reads Andrew Haines' 100-day review: "The need for radical change is clear"
Chief executive Andrew Haines has concluded that “the need for radical change is clear“ at Network Rail after completing his 100-day review. Under his direction, Network Rail is set for a reorganisation to drive up performance, efficiency and deliver a better service for passenger and freight customers. Continuing the trend of bringing track and train closer together, more devolution is on the cards with the creation of more routes. 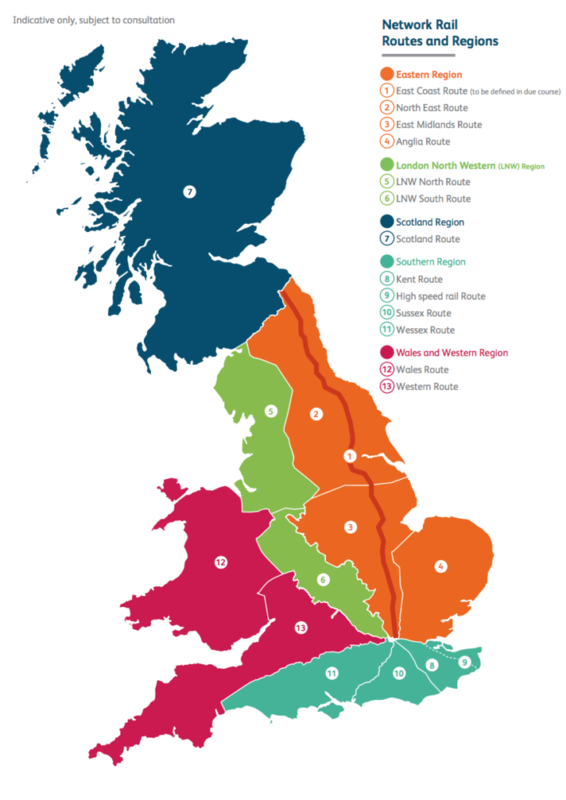 Network Rail will now operate with 13 – previously eight – routes, which will report to five new regions, to better align with rail franchises. Each of these routes will be responsible for the delivery of the operations, maintenance and renewals activity for that geographical route – essentially the day-to-day running of the railway. A director will be appointed for each route while the regions, which will be thin but absorb some of the central responsibilities in support of the routes, will be led by managing directors. Appointments to these posts should be confirmed by May. 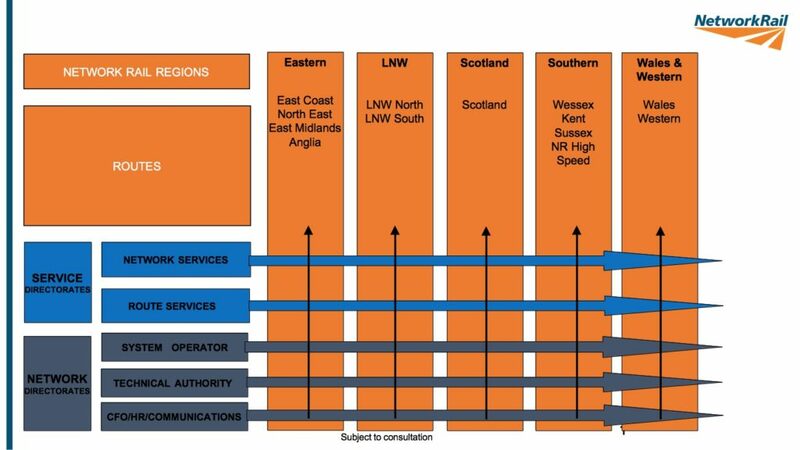 Network Rail’s new operating model will also include two service directorates – the existing Route Services and a new Network Services Directorate – and smaller teams at the centre as more responsibilities are devolved to the regions. Plans will see Infrastructure Projects as well as parts of System Operator, Safety, Technical & Engineering, and Group Digital Railway gradually devolved up until the end of 2020. Finance, human resources, communications, legal and property departments will be largely unaffected at this stage. During a roundtable briefing with the trade press, Andrew denied he is “shifting the deck chairs on the Titanic” with the reorganisation and described these as “fundamental changes” to Network Rail. The start of a more detailed organisational redesign began on February 12. Andrew had a wide-ranging career in rail, from British Rail to South West Trains, before he joined the Civil Aviation Authority in 2009. 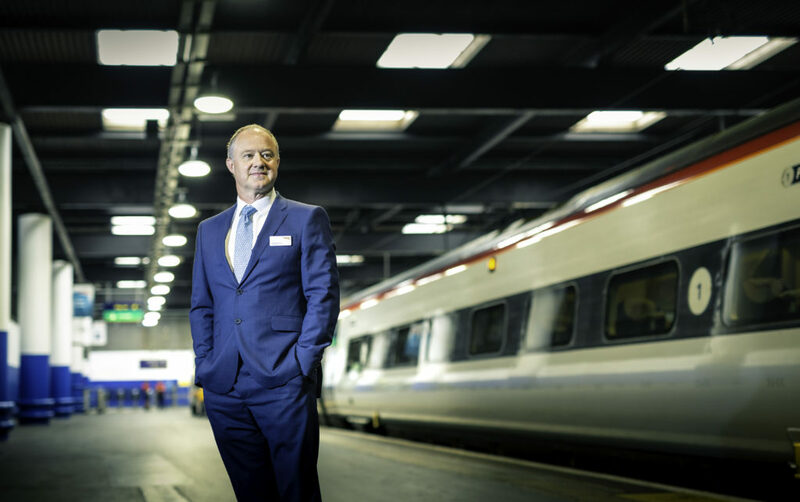 When he applied for the chief executive post at Network Rail, Andrew – who was warned he was taking on “one of the worst jobs in Britain” – knew it wasn’t one to be taken on lightly. 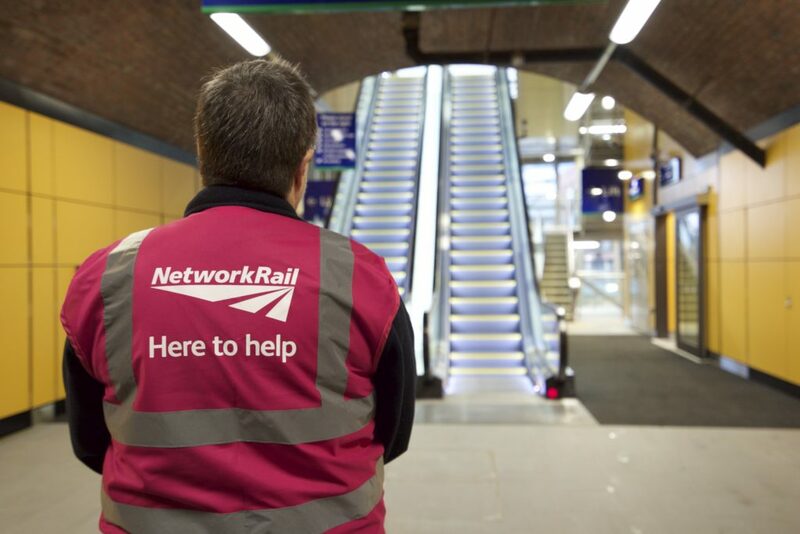 He therefore approached 36 people, ranging from existing Network Rail board members and route managing directors to former Network Rail and Department for Transport board members as well as a number of stakeholders, to gather their thoughts on what changes need to be made at his prospective employer. At the final selection panel as part of the process to replace Mark Carne, Andrew presented his plan, a plan which centered on further devolution. It was accepted and he was handed the post. Not wanting to come in and make the mistake of thinking he knew everything, Andrew tested it out by talking to more than 300 colleagues from dozens of organisations during his 100-day review, which helped Network Rail realise how to make the plan work. From these conversations he found overwhelming support for the closer integration of train and track. He also found out that Network Rail’s biggest strength is in its safety record but that it has numerous weaknesses. This includes train performance – “We have a 100 per cent success record at failure,” said Andrew, referring to Network Rail’s failure to improve performance for the past seven years – the lack of confidence industry has in its cost control and that it is viewed as bureaucratic, slow, arrogant and difficult to work with. He said: “The need for radical change is clear. Performance is not good enough and my comprehensive discussions with partners, passengers and politicians up and down the country has made it clear to me the things we do well and the areas where we need to improve. The vast majority of Network Rail staff – signallers, supervisors, electrical control room operators, controllers and those in frontline maintenance roles and station teams – will be not adversely affected by the change, according to Andrew. Although there is a risk of redundancy for members of the executive leadership team, Network Rail does not intend to place any colleagues at risk of redundancy, if necessary, until the start of 2020. Andrew also stressed that this reorganisation is not about increasing or reducing the amount of staff. Andrew’s 100-day review comes at a time of uncertainty in the industry with Keith Williams’ ongoing review into the country’s railways and Brexit looming ever closer. Andrew admitted there is uncertainty as to what Network Rail could look like after the Williams Review but stressed that he is not there to protect the status quo and that Network Rail cannot afford to continue its poor performance any longer. Unlike predecessors, Andrew isn’t an engineer but his experience of working with train companies, infrastructure managers and the public sector gives him a unique insight when it comes to improving Network Rail’s reliability. Changes to its setup may already be underway but Andrew said that installing a mindset of putting the customer first will be more important than any reorganisation. Only time will tell how successful this will be. This article was updated on March 13 to include additional sections which featured in the March issue of RailStaff magazine.